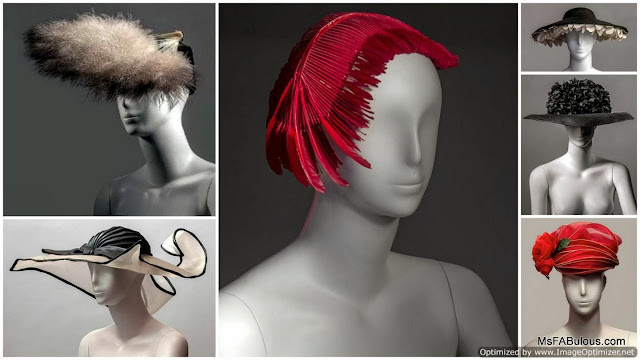 Is there a fashion accessory that lends itself to sculpture better than a chapeau? The Palazzo Pitti in Florence is home to a beautiful exhibit celebrating The Hat Between Art and Extravaganza. On display are wearable works of art made by designers like Philip Treacy, Christian Dior, Prada, Chanel, Stephen Jones along with a handful of independent Italian artisans. The museum is housed in a Rennaisance palace that was once home to the royal Medici family. Caterina Chiarelli curated this costume gallery show, the first to encompass a single category of fashion item. The 179 hats were chosen from the over 1000 item collection in storage at the Palazzo. The show also presents original sketches and fashion illustrations by the creators. Pieces in the exhibit include contemporary designs and vintage pieces from the early part of the last century. The mannequins resemble marble pedestals to the hand crafted sculptures above. With a hat, you can create any shape, use any material. You can build a soaring piece up and away from the head or work the shape to frame it instead. As an artistic medium in fashion, you don't need to worry about fit and barely concern yourself with function with a hat. It is a shame that in America, mainstream culture doesn't really support such millinery displays except at the Kentucky Derby or New York City's Easter Parade. The English make a spectator sport of wearing couture hats, something I wish we could bring to Hollywood red carpet culture. The addition of a spiraling headpiece at the Academy Awards would really kick things up a notch. 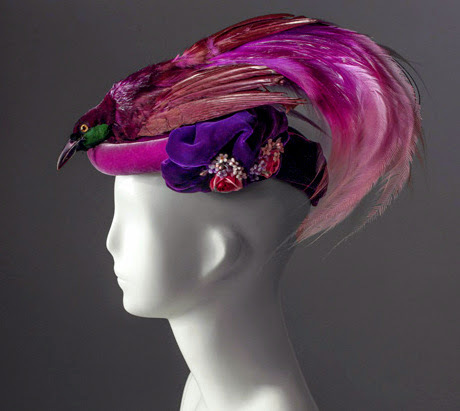 The Hat Between Art and Extravaganza exhibit at the Palazzo Pitti will be ongoing until May 18, 2014. Oh for the love of those zebra striped pumps! I am such a stan for Rachel Zoe! The shoes for Spring 2014 are to die for. My personal faves are the heeled gladiator sandals. Bring on Spring already!